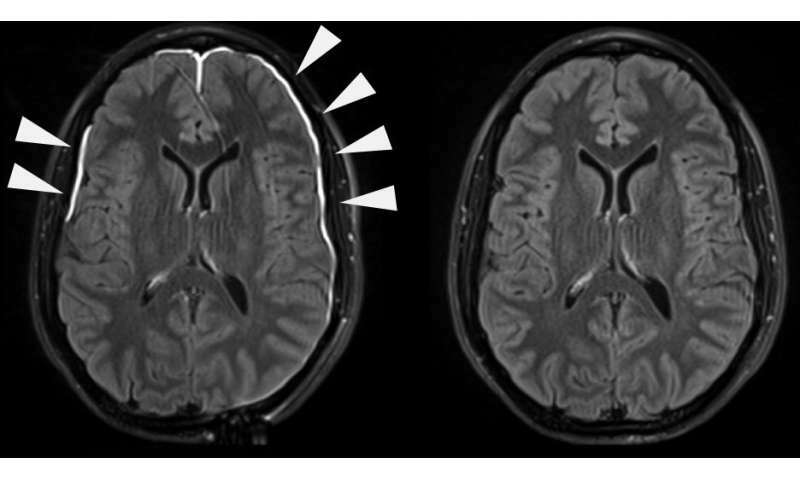 One day after head injury (left), bright dye along the edge of the brain suggests damage to the meninges, or the brain's protective lining. 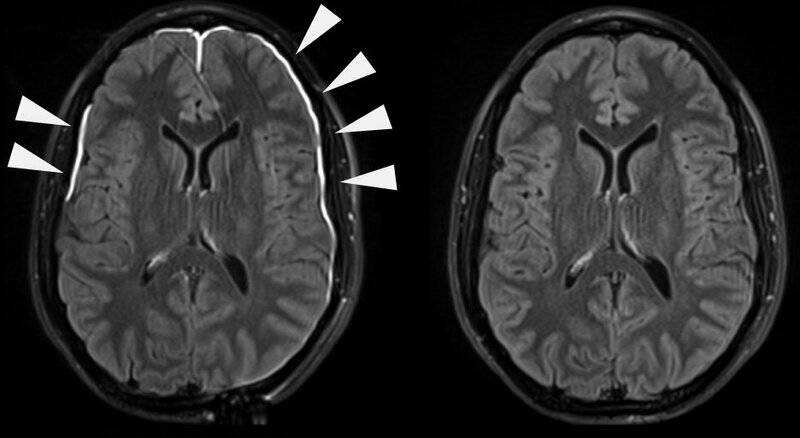 After 35 days (right), the dye no longer appears, indicating the meninges may have healed. Credit: Larry Latour, Ph.D., National Institute of Neurological Disorders and Stroke. 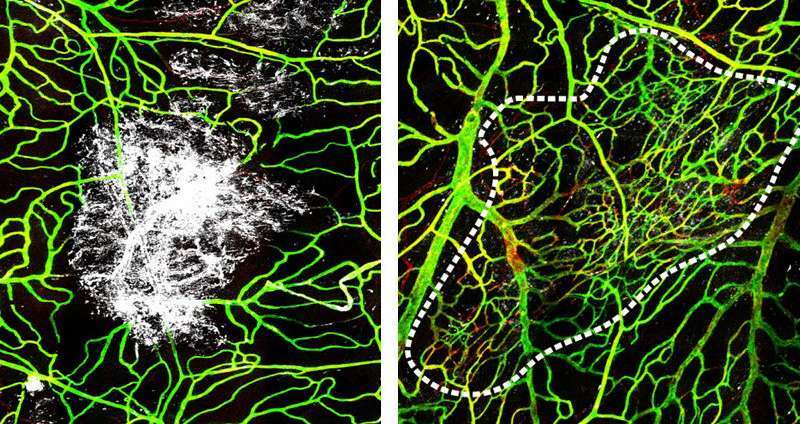 "The lining of the brain, with help from the immune system, has a remarkable ability to put itself back together again after injury," said Dorian McGavern, Ph.D., scientist at the NIH's National Institute of Neurological Disorders and Stroke and the senior author of the study published in Nature Immunology. "As we learn more about all the cells involved in the repair process, we may be able to identify potential targets for therapy that lead to better outcomes for patients." Dr. McGavern's team found that while most patients had repaired their leaky blood vesselswithin 20 days, 17 percent of patients still showed leakage on their MRI scans three months after injury, indicating ongoing meningeal damage and incomplete recovery. "Following a head injury, the meninges call in a clean-up crew, followed by a separate repair crew, to help fix damaged blood vessels," said Dr. McGavern. "The timing of a second head injury may determine whether the meninges can be repaired. 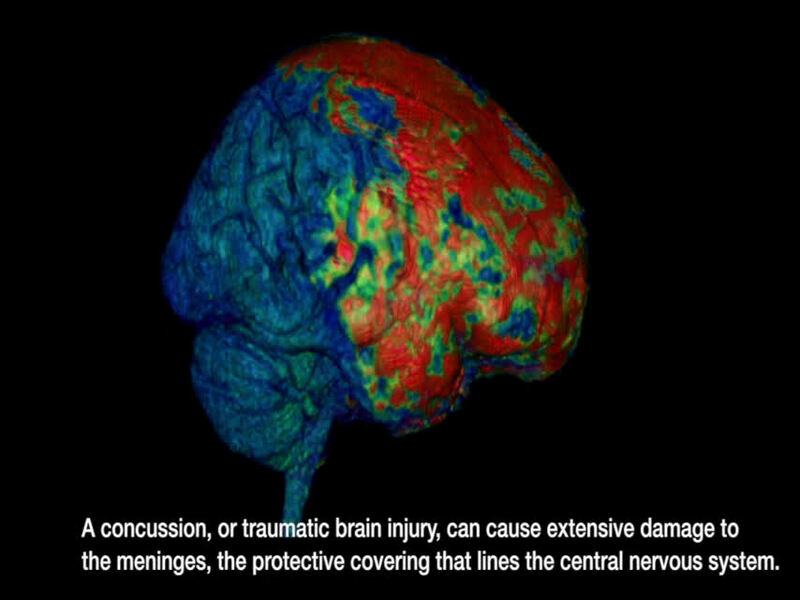 We have shown on a cellular level, that two or more head injuries within a very short amount of time can have really dire consequences for the brain lining and its ability to repair," said Dr. McGavern. "It is possible that patients who did not fully recover following a head injury may have had problems with the first phase of the repair process." More information: Distinct myeloid cell subsets promote meningeal remodeling and vascular repair after mild traumatic brain injury, Nature Immunology (2018).